Here’s a book you won’t want to miss. Not just a book about smallness, it’s a big story of a remarkable man, who happened to be small. He also happened to make a hell of a good thing out of a less than rosy set of circumstances. 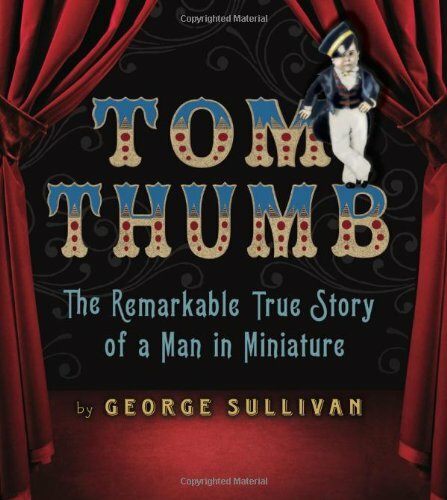 Thanks, to George Sullivan, for telling the story of Tom Thumb: A Man in Miniature with skill and respect. If you want to read a killer review/analysis of the book, check out the blog of the divine nonfiction writer, Laurie Thompson. Thanks for the link, Amber! I loved this book, and George was kind enough to grant me an interview with some insightful answers about his process. If you’re interested, you can check it out here.